REAL SAGA (AUS) (Bay 2006-Stud 2009). 4 wins at 2, STC Todman S., Gr.2. Sire of 346 rnrs, 202 wnrs, inc. SW Candelara (ATC Adrian Knox S., Gr.3), Real Surreal, Sylpheed, Real Good, Sagaronne, Secret Saga, SP Sagatona, Stroak, Epic Saga, Kirabo, Easy Drama, Choose a Saga and of Coastal Prince, Real Princess, Realing, Powerful Saga, Saga Miss, Saga of the Storm, A Day to Remember, No Problem, Outback Saga, Hot Saga, Real Mean, You Did What, etc. SECRET SAGA (f. by Real Saga). 5 wins-2 at 2-to 1200m, A$385,700, BRC Mode P., L, Bronxnation H., Stanley RVR Thoroughbreds 2YO H., Gary Palmer Memorial 2YO H., Best Security H., 2d BRC Kangaroo Bus Lines H., 3d BRC Bribie H., L.
Jack be Quick (g. by Show a Heart). 4 wins-1 at 2-to 1350m, Ipswich TC McPherson Mechanical H., 3d BRC BOQ Winston Glades H.
Show Diva (f. by Show a Heart). Winner at 1000m in Aust. Dulacca Diva. 7 wins. See above. Ellie Belle. Winner at 1100m in Aust. Hi Fiver. 3 wins to 1100m in 2018-19, 2d BRC St Margaret's Girls H., Dolly's Dream P.
Dulacca Jet. 3 wins-2 at 2-to 1200m, A$79,850, 2d BRC Sequalo at Lyndhurst H.
Hallside Fandango. Winner at 1100m in 2018-19, 2d BRC UMS School Wear H.
Miss Ricciardo. 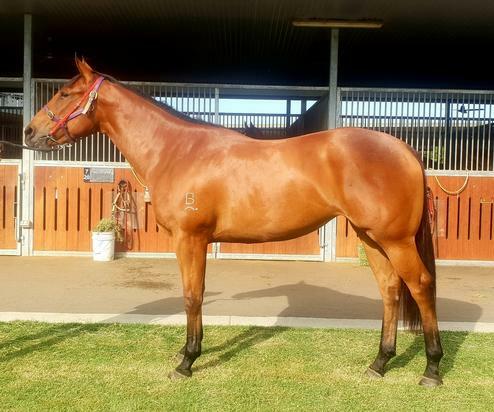 Winner at 1200m, 3d BRC Hosken Site Steel 2YO P., Toowoomba TC Hopeful 2YO P.
Give Me Time. 2 wins at 950m, 1000m in Aust. Luna Chen. Winner at 1200m in Aust. Hallside Rebel. Placed to 2017-18, 3d BRC IGT Australia H., Disco Entertainment H.
NEWTON'S RINGS (Spectrum). 22 wins from 1000m to 1600m, A$795,280, Gosford RC Pacesetter S., L, Scone Cup, L, AJC Leda Holdings Welter H., STC Woolworths the Fresh Food People H., Fairfield RSL Charity Race H., MTA Insurance Agency Welter H., Tamworth Cup, AJC David Jones H., STC Muffin Break H., United Kids Spirit H., Gosford RC Myer Sprint H., 2d NSW Tatt's RC Chelmsford S., Gr.2, 3d STC Shannon S., Gr.2, Gosford RC Pacesetter S., L, 4th STC Canterbury S., Gr.2, Civic S., L, Premier's Cup, L.
Prepee. 4 wins from 1000m to 1600m, A$93,844, to 2018-19, 3d MRC Chris Boothroyd H., MVRC Bring Home Bertocchi H.
Pentagonal. 4 wins. See above. Pride of Lago. Winner at 1200m, 3d MRC Thomas North 2YO P.
Prime Jewel. Winner at 1000m, 2d QTC Dark Ksar 2YO H., 3d BTC GNS Victory Paper 2YO H. Producer. Propero. 3 wins at 1400m, 1600m in Aust. Primas. 2 wins. See above. Market Report (Luskin Star). 9 wins to 1400m, A$82,595, AJC Silver Sharpe H., 2d AJC Liverpool City Cup, Gr.3, 3d STC Star Kingdom S., L.
Chic Prince (Imperial Prince). 5 wins from 2000m to 3050m, 3d VRC Criterion H., L.
Wings on Her Heels (Imperial Prince). 4 wins-1 at 2-to 1400m, VRC Lone Pine H., MVRC Donnybrook H., 2d VRC Maribyrnong Trial S., L. Producer.